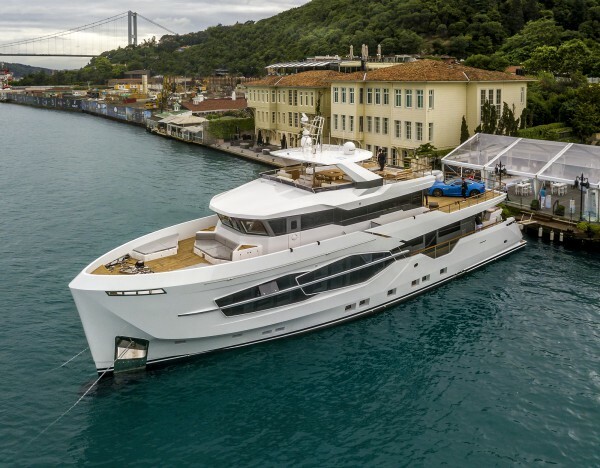 Straddling the Bosphorus strait between the Sea of Marmara and the Black Sea is the transcontinental city of Istanbul, and a superyacht builder marking its entry into the explorer-yacht segment. Launching hull 1 of its explorer range, Numarine’s 32XP is the product of a go-anywhere ethos and ability to lay anchor in some of the worlds most confined destinations. Twin CAT engines thrust the 32.5m displacement explorer to a gentle 12-knot cruising speed or to a Vmax of 14 knots. A fuel consumption of around 8.5 litres per nautical mile at nine knots ensures the steel hulled explorer can negotiate some of the world’s demanding seas for 3,000 nautical miles. 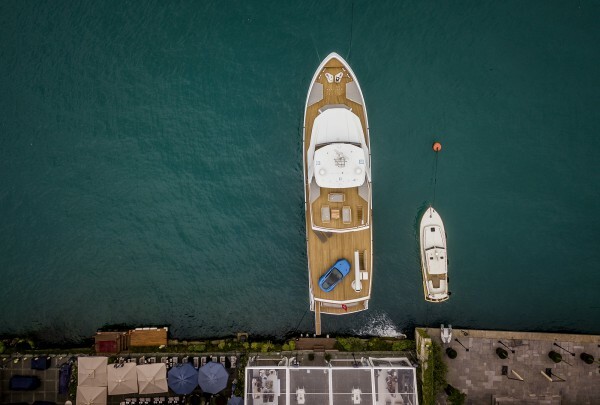 Internal and external details penned by Can Yalman, in conjunction with Naval Architect Umberto Tagliavini, have delivered considerable volumes of space across all decks. Below deck, 85sqm of living space is segmented among two mid-ship VIP cabins and two double en-suite cabins. Forward of the same deck are crew quarters for five. Ascend to the main deck, an expansive 48sqm salon leads to a starboard gym, mid-ship lobby and on to the full beam master cabin, three quarters the size of the salon. On the upper deck, a sizeable owner’s cabin with circa 40sqm of living space opens up via sliding doors onto the expansive 129sqm external space of the upper deck. With the help of a 2.5 tonne crane, the aft upper deck can harbour a 9m RIB and twin jet skis. Atop the quad-deck superyacht, the 60sqm flybridge is characterised as an entertainment space, featuring a 12-person dining table, integrated bar and secondary helm. 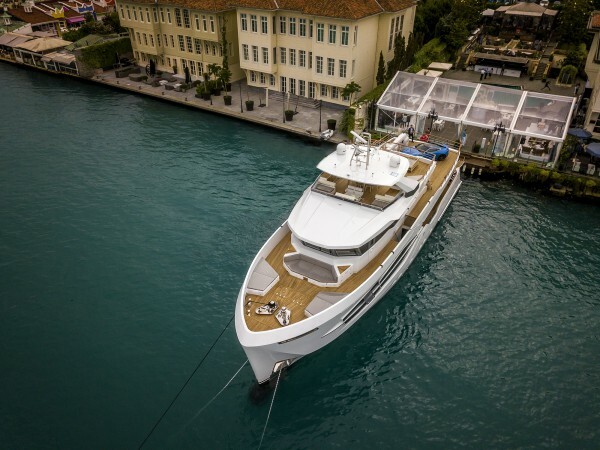 Sold in June 2016 to her experienced owner, the launch of the 32XP marks Numarine’s adventure into explorer superyachts.